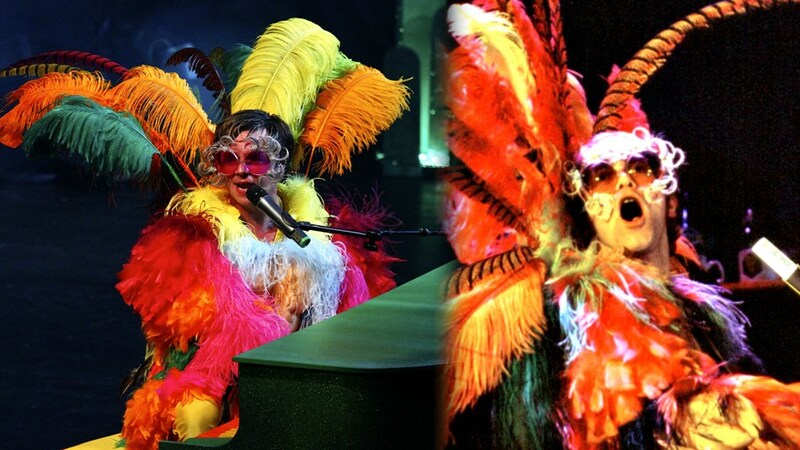 I am Elton John's official body double for his 'Farewell Yellow Brick Road' world tour promo videos & photos! 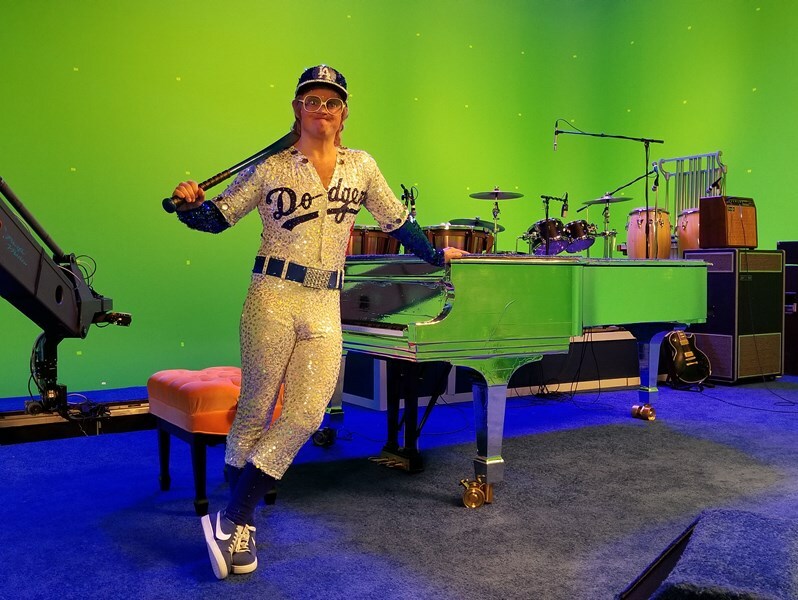 Working closely with Elton & David Furnish, we have magically recreated many highlights of Elton's career including his 1970 US debut gig at the Troubadour in West Hollywood, as well as his 1975 Epic LA Dodgers stadium concerts! What an honor. Check out the amazing videos on here & stay tuned for more as we go down the yellow brick road of Elton's final tour! Meanwhile, onstage with my live 'Rocket Man Show', I strive to be the biggest, most flamboyant & most authentic Elton tribute in the world. I painstakingly recreate an early Elton concert – wearing gorgeous, colorful & spectacular costumes (many actually owned by Elton) including iconic boots, glasses & jumpsuits from 1973, as well as a sparkly Swarovski tuxedo from 1984! I'm a regular feature across the country at House of Blues, Hard Rock Live, Caesar's, Legends In Concert, BB King's, Universal Studios & Walt Disney World. It's hard to go wrong when you have this much experience onstage at your venue. My hand picked band of merry crackerjack musicians are the best in the business & our act is 100% live in both vocals & instrumentation. Absolutely no tracks or lip syncing so no worries there! My performance is an extremely sincere, intense & magical musical journey. Audiences laugh, cry, sing & dance as they recall the highs & lows of Elton's epic career. There are ballads & driving rock songs - plus I'm 35 years old so this is Elton in his prime & the people go nuts! In summary, the key to success when hiring a band is knowing how professional they'll look, act & perform when they arrive. My authenticity was recognized by Elton himself, when he picked me to play his younger self for his farewell world tour promo video! In the past year alone I've performed in over 30 States - all 4 corners of the USA. 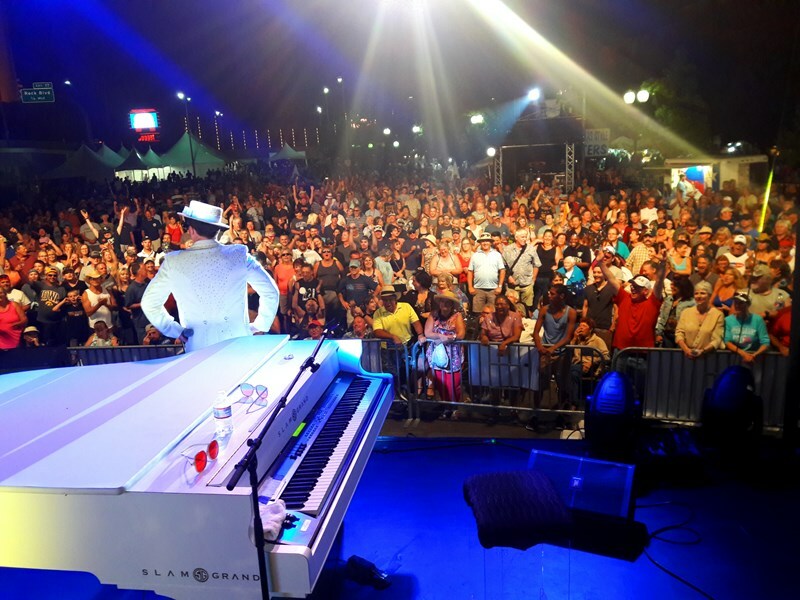 With hundreds & hundreds of shows under my belt, from theaters to rock clubs, from cruise ships to concert halls, from festivals to casinos, from city events to weddings & from country clubs to biker bars, I play the role of Elton down to the finest detail. I've spent thousands upon thousands of dollars on costumes & have a 5 star rating on many of the USA's elite talent rating platforms. I'm an ASCAP member, Disney verified & fully licensed & insured. You're ok with me. The man himself thinks so too! Again, browse my photos & videos. What you see is what you get & that's entertainment. The band can provide all backline, PA, instruments (incl. grand piano), stage and lighting effects. Further technical details including rider information are available on request. My Rocket Man show features several elaborate and colorful costumes! Each costume has been professionally designed and tailored to exactly match iconic looks from Elton's early decades on stage. Generally a show includes 3-6 costume changes. Show duration is usually 60 mins to 120 mins. Rus Anderson morphs into Elton John, not only through his costumes, music and song selections, but also through the incredible energy, enthusiasm, subtle Elton John nuances and not so subtle mannerisms he brings to his performance. We spent a fantastic evening in our community which no one wanted to end. A standing ovation performance! To summarize in one word- WOW! The Band was absolutely amazing. The show was better then I expected. The were easy to work with. This was my first time seeing the band other than the online video. I am very satisfied. Gig Masters is a great resource and will use them again. Please note The Rocket Man Show will also travel to Clearwater, Indian Rocks Beach, Belleair Beach, Seminole, Pinellas Park, Bay Pines, Saint Petersburg, Dunedin, Safety Harbor, Oldsmar, Ozona, Palm Harbor, Crystal Beach, Tampa, Tarpon Springs, Holiday, Odessa, Elfers, New Port Richey, Apollo Beach, Sun City, Lutz, Port Richey, Ruskin, Gibsonton, Anna Maria, Bradenton Beach, Palmetto, Riverview, Land O Lakes.